Ursula K. LeGuin’s first book in the Earthsea series, A Wizard of Earthsea, is nearly fifty years old at this point. My reading of these books has been a bit sporadic, as I received the original trilogy as a kid and read the first two books in junior high, but didn’t get around to reading the third until eight years ago, by which point I’d forgotten much of the earlier ones. Then a recent display in the local library reminded me that there are now three more books, the first of them having been published around when I first read Wizard. LeGuin does a pretty thorough job at creating a fantasy world that, while it does have plenty of magic and supernatural threats, also feels realistic. I’ll admit that my preference is usually more for whimsical fantasy, but that doesn’t mean I can’t enjoy the more serious sort. The known world of Earthsea consists entirely of islands, home to multiple cultures that are mostly Iron Age in terms of technology. The original trilogy focused on Ged, a young wizard from the island of Gont who attends the school of magic on Roke as a young man, and goes on to become Archmage and bring about the return of the High King. Magic can be found everywhere in Earthsea, but it functions within limits. It’s largely based on learning the true names of things in order to manipulate them to beneficial effect. The school will only teach celibate males, but there are also witches and sorcerers on the islands. One of LeGuin’s main focuses in the later books is on how women’s magic, traditionally frowned upon and thought of as lesser and even evil, can actually be just as powerful and useful as what the men practice. And the rule of having wizards concentrate on nothing but magic leaves them unprepared if they lose their powers, as Ged does in The Farthest Shore and has to deal with in Tehanu. He eventually settles back on Gont with Tenar, the girl he rescued from a solitary life as a religious symbol in The Tombs of Atuan. Although Ged remains a significant character, women tend to be given much larger roles in the more recent volumes. The fifth book, Tales from Earthsea, is actually a collection of short stories, covering the founding of the school on Roke, the education of Ged’s first teacher Ogion the Silent, and how a woman sees to break the gender barrier for wizards. 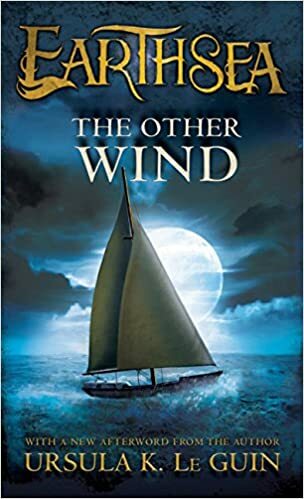 Finally, The Other Wind resolves several issues, including the riff between humans and dragons and the enmity between the archipelago and the magic-hating Kargad Empire, as well as the artificial afterlife created by wizards that served as a prison for souls. 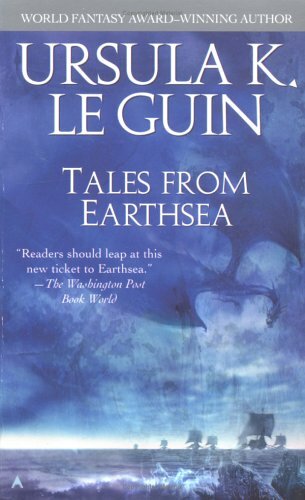 The last book was published in 2001, and that’s likely all we’ll see of Earthsea, although LeGuin is still alive at eighty-seven. 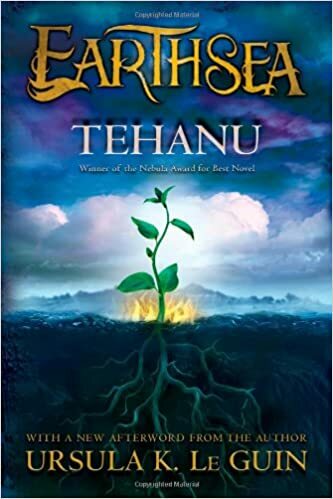 This entry was posted in Authors, Book Reviews, Gender, Magic, Names, Ursula K. LeGuin and tagged a wizard of earthsea, dragons, earthsea, ged, sorcerers, tales from earthsea, tehanu, tenar, the farthest shore, the other wind, the tombs of atuan, witches, wizards. Bookmark the permalink. It kind of seems like the earlier books concentrated more on epic threats, while the later books concentrated more on human issues. It’s obviously not always that clear-cut, though.